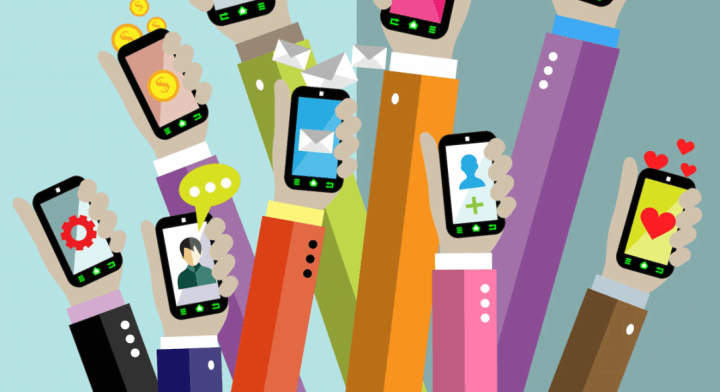 Why Brands should go mobile? Marketing is reaching a variety of customers and trying to influence their decisions. Hence it is important to be where people are engaging and spending time. With its variety of apps, the mobile phone is one of the things that occupy our attention day and night. For the majority of millennials, the mobile phone is the first thing they reach for in the morning, and more often than not, the last thing they see before they go to bed. An astonishing 83% claim to sleep with their smartphones and 32% of the younger half even use them in the bathrooms. In 2016 the world population has spent 1 trillion hours using mobile apps. App Annie, an app analytics company has discovered that the average person launches at least 10 apps per day. Clearly, it is a business opportunity for every company and its brand to capitalise on. But what are some of the benefits of having a mobile-first strategy? The Wired Magazine wrote that Data is the new oil: DATA IN THE 21st Century is like Oil in the 18th Century: an immensely, untapped valuable asset. Like oil, for those who see Data’s fundamental value and learn to extract and use it there will be huge rewards. Nowhere is that truer than in brand marketing. Mobile apps provide companies with tons of additional data that it could use to improve its marketing and brand efforts via facebook, email etc since data could be collected for everyday interactions of the user. Furthermore, companies would cut the cost of having to buy all this data from 3rd party services that is often not accurate. Virtual and Augmented Reality used to be stuff from sci-fi movies. With the advance in mobile devices technology, it is now more common than ever. With the advancement in mobile computing power. Simple cardboard could turn every phone into Virtual Reality headset. That opens a lot of doors to marketing and ways for users to interact with your product. For example, Ikea created an app that turned its catalogue to interactive platform. This creative approach meant that app got 6.2 million installs, being the number 1 downloaded marketing app for a brand. Users spent an average of eight minutes with the app compared to three minutes with just the catalogue. Yet sometimes an app is not one size fits all solution to further popularizing your brand. It should be providing value beyond your product or service. Great dose of creativity is required for launching a truly beneficial app- that provide quality content, entertains users or help them in another way. Many branded apps succeed at getting downloads but fail at retention. We can find apps for brands like McDonald’s with really poor rating at the App store. Previous article How to start a tech company without a CTO?